Scanning is a great way to digitize your film, offering flexibility of a hybrid film and digital workflow. As any part of the film photography process, digitizing is a time consuming process, but is very rewarding once you’ve got the tools that fit your needs. 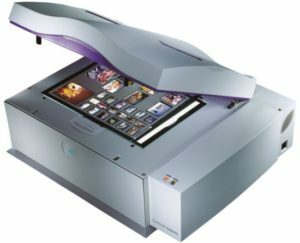 There are a number of film scanning solutions on the market, falling into three major categories, bespoke Film Scanners, Flatbed Scanners, and Drum Scanners. 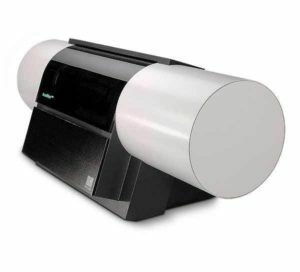 These scanners leverage CCD technology, and are specifically dedicated to film photography – they are not suitable for general purpose use, such as document scanning. Formats are generally 35mm up to 6×7 formats (Medium Format), with high-end solutions capable of up to 4×5″ format. 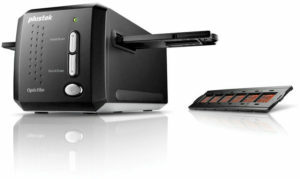 Examples include PlusTek, Nikon Coolscan, Hasselblad Flextight X5. If you’re just starting your film journey, plan for formats you’ll be interested in shooting in the future, as these solutions offer the least flexibility and can be costly. 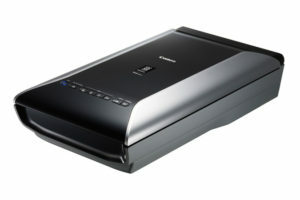 Flatbeds are general scanners geared towards home and office use. In the case of film photography, you must select one with transparency scanning capability. The scanning area on these dictates format, but generally support 35mm through 8×10″, with high-end solutions capable of up to 11×14″ format. Some of the high-end solutions can hold their own against Drum Scanners, but come with a hefty price tag. Drum scanners are the pinnacle of scanners, but are rare and hard to get a hold off. They leverage Photo Multiplier Tubes (PMT) and require expert knowledge to restore and configure for usage and require regular maintenence. Given their age, they generally are not compatible with modern technology and require an ecosystem of outdated tech as well, such as FireWire and SCSI adapters, older computing platforms like Apple G3 and G4 processors, and software that is no longer supported by vendors as they have long gone out of business. You’ll put in significant effort to set them up, but the results will make you giddy. Deciding on a film scanner can be quite a challenge given the number of choices and attributes to consider. It becomes particularly difficult if you’re just getting into it, and are not sure what your end goal is – so start planning this out before dropping money on a device. It will be frustrating if you’re not getting the quality scans that are representative of your film work. Below are some attributes to consider in a scanner. This is a tough one, as many people get hung up in numbers and there isn’t a true standard to be measured against. Theoretically, higher resolution equates to sharper scans. That being said, consumer grade scanners tend to be over-stated and realistically the usable resolution is much less. So don’t get too caught up in the numbers here, but do your research on the scan resolution as it compares to the size of the film you’re working with and that of the prints or images you are looking to share. At the end of the day, your 35mm scans are going to have more resolution than the best 35mm digital SLRs on the market today – for example, for 35mm, you’re looking at 80-100 megapixels for a high resolution film vs. 25-30 megapixels for top of the line 35mm DSLRs. This is where things start to get a bit more interesting. The natural inclination is to look at bit levels equally, however it depends on whether or not the scanner resolves color in linear or logarithmic scale, and how accurately the scanner can measure the color. Consumer grade scanners typically use linear scale while high end are on a log scale – I’ll write more on this topic in another blog post. That being said, the bit depth gives you an idea of how many colors the scanner can communicate, but does not indicate quality. For example, a 48-bit scanner may use 16-bit for each color channel, Red, Green, and Blue. That means, a 48-bit scanner can encode 281 trillion colors, but the quality of the color detection is dependent upon the sensor technology. Also, some scanners use an additional 16-bits for an infrared channel that is used for software-based dust detection and removal. The color gamut is not specific to film or scanning, but a concept that ties your entire workflow together, from your scanner, to your editing, physical printing, or online sharing. The gamut is the range of colors that your device or application can work within. Therefore, the bit depth becomes important depending on the gamut you use. 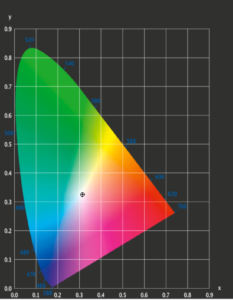 For example, Standard RGB, Adobe RGB, Apple’s ProPhoto, and CMYK are common gamuts and are optimized for different color ranges. Devices and software in your workflow will include the scanner, monitor, scanning software, editing software, publishing software, printing software, printer, mobile devices, and more. It can be a very big challenge to get your gamut and devices in-sync to represent the final image you are aiming for. To sync the color gamut, being able to calibrate and store your configurations becomes crucial and this is done through IT8 profiles. More on this topic in another blog post. The DMax number indicates the optical density and tonal details the scanner can resolve and is indicative of the scanner’s abilities. An image on film is represented by varying densities after development. For example, on a negative the highlights and whites are densest areas of the film, while shadows and blacks are the thinnest areas. The scanner’s ability to capture the range between these densities is where the DMax becomes very important. For example Fuji Velvia is known to have a very tight range of 5-6 stops (similar to most DSLRs), while Kodak Ektar is on the order of 12-13 stops. To make the most of your scans, you want the highest DMax you can afford. The number itself is on a log base 10 scale, where each whole number is 10 times more range than it’s successor – 2 is 10 times more than 1, 3 is 10 times more than 2, etc. As density of the film to be scanned approaches the scanner’s DMax, you start to see noise as the scanner will struggle to read through the film. Dust on film is inevitable and can be a nuisance even if you’ve cleaned your negatives and scanner. Bespoke scanners offer dust cleaning physically within the scanner, while you’re left cleaning dust on your own when using flat beds or drum scanners. Additionally, hardware dust and scratch removal is provided through through Digital ICE (Image Correction and Enhancement), but dependent on the scanner’s ability to detect the artifacts. Any dust not removed through automated process can be removed through an electric duster (electric air blower, not canned air), anti-static brush (scanner glass), or post-editing tools. Scanning area will determine the size of film you can scan, and the number of frames. 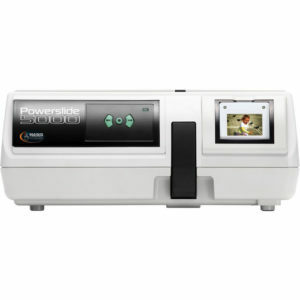 For example, the Plustek 8100 can only scan 35mm film, and nothing else. So if you’re looking to step up into medium format, large format, or ultra-large format you’re out of luck. 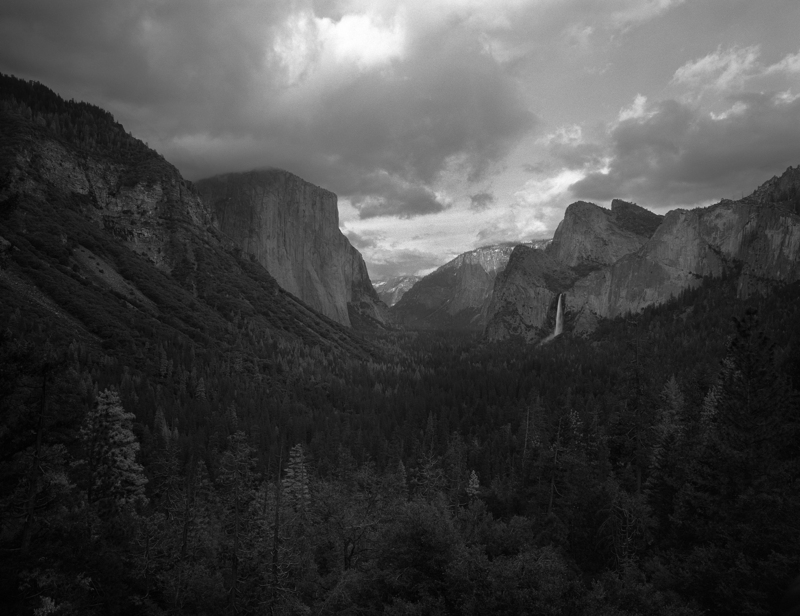 While flatbeds like Epson v800 can scan up to 8×10 (you’ll need to find a 3rd party film holder). So consider what format film you’ll be working with, and how many frames can be scanned at once as this can help save time during the scanning process. Most scanners leverage some sort of mechanism to hold the film in a position for the scanning process. For bespoke and flat beds, they’re traditionally use film holders, while drum scanners, well, they use transparent drums. 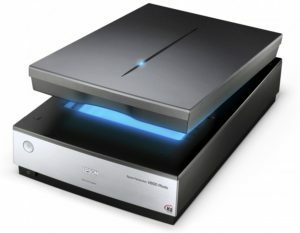 Some high-end flat beds can scan film directly on the glass. The quality of the scans is determined on how well the holders flatten the film, and the quality of the glass they use. Some film holders also use Anti-Newton ring coating, which prevents unwieldy scanning “ring-like” artifacts from showing up. For scanners without an auto-focus system, adjustable film holders are necessary, and they are a pain to adjust. For drum systems, the film is taped directly onto the drum, using special tape that is safe for drums. Film scanning can benefit from fluid mounting, which is the process of using a kerosene-like fluid, directly on the scanner glass or a film holder. The fluid fills in thin scratches, can aid in removing dust, and helps provide clarity, vibrance, and contrast to scans. It certainly adds even more time to the process, but worth it if you’re looking for gallery quality prints. Not all scanners can support fluid mounting (e.g. bespoke) while some flatbeds require special fluid mounting film holders (e.g. Epson v800 with Better Scanning holder), some can fluid mount right on the glass (e.g. Creo EverSmart) or directly on the drums of a drum scanner. Extra caution must be taken, because not only is the fluid is flammable, you don’t want it getting into the electronics. Autofocus is generally only available on very expensive high end scanners, and it’s a very useful feature that saves you time and headache as you won’t have to calibrate the height of your film holders. 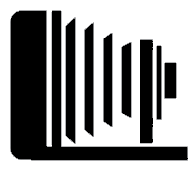 Additionally, your scanning software must be able to use your scanners autofocus mechanism. Software compatibility is often overlooked, but extremely important part of the workflow. Not only does it determine what system you can use (e.g. Windows vs. Mac), but control over the final image too. If you’re looking for ultimate control, you want to make sure the software is compatible with software that can output in linear RAW TIFF format, allowing you to control adjustments to the image in post-processing (e.g. color correction). 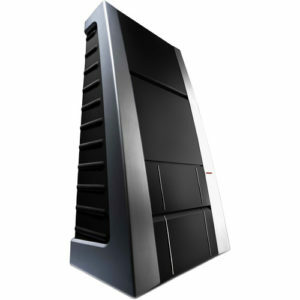 Vuescan and SilverFast are two popular software choices, which require purchase. If you’re not looking for complete control, the out of box software packaged with your scanner may suffice (most likely not). Software adjustments impact your final image. For example, the Epson software does not allow you to output in linear RAW, and it applies color correction directly into its scans. Also, something to be aware of with SilverFast, the license is only good for the specific scanner you buy it for, and is not transferrable – this can be a no-go for most folks. Also, the SilverFast software often packaged with scanners is not the full-featured version. If you’re scanning a bulk set of film, particularly 35mm, bulk scanning can be useful to help speed up the scanning process. The configuration is set based on film location in film holder, and the ability of the software and scanner to work in tandem to detect the individual film area. Physical connection is often taken for granted because today’s technology is generally some sort of USB connection. Well, for high-end equipment that is now dated, you’ll also need to consider compatibility with SCSI connections, which is no longer ubiquitous and can be quite challenging in getting configured properly. You’ll want to look up known working configurations to save yourself hours of headache, trust me… I know. I feel wiser, but also none the wiser as there’s still so much more to research and look into. Still strongly drawn to drum scanners—despite the learning curve. Great post, will definitely be coming back to reference later. Thanks! There’s always so much to learn, and unfortunately a lot of the knowledge is not readily available online, because these `ancient` technologies were before the internet was so ubiquitous. We’re always learning as well, and glad you could take-away value from the article!